The one thing I have never done is paper piercing. I have found quite a few patterns that call for it but since I've never done it I tend to stay away from it. I did a star before that was supposed to be paper pierced but altered it so it wouldn't have to be but it was a lot of work so I think I want to try it out. Does anyone have any tips? Or a good beginners book for it that I could buy with patterns? TIA! 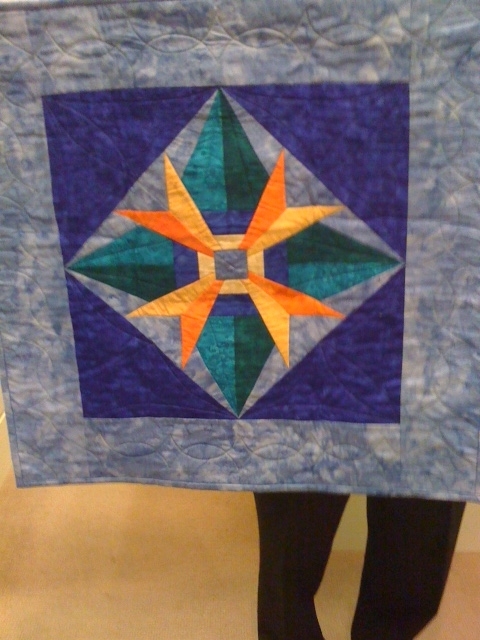 well Carol Doak has some free paper piecing patterns online on her site. You might try some of them. start with easy ones with few pieces, and keep going from there. They are habit forming and not all that difficult to do. just seem time consuming and a tad wasteful of fabric. but you get such good results! I tried doing a very small pieced Sun Bonnet Sue and altered it to paper templates because I found it difficult. now, I laugh at that. carol doak is great to learn from. I love to pp I am actually working on a quilt now that is pp that I created myself. as long as you are careful with your lines you should be great. post a pic when you are done would love to see you first attempt. I too recommend Carol Doak. Look for a book ( some have CD's with very good instructions) I struggled to wrap my brain around it till I found Carol Doak. It took a little adjustment in my process/thinking, but once I got it... no turning back I love it! Perfect complicated points .. its worth the extra time and a bit more fabric.. to get the amazing results. I check Carol Doak's pp tutes. thanks! I will definitely check her out!! I love PP and strongly suggest you get the add a quarter ruler and a few index cards. Have fun, it is fun to do and it comes out perfect. Lots of tutes out there for you to watch. I found some rulers at Dollar Tree that work even better than index cards for getting a good fold. They're translucent and come in a package of 3. They come in 4 colors, green, blue, purple and pink. They have a really thin edge so they work perfect for folding paper. Carol Doak is my pp idol. Took classes from her, bought her dvd which is the way to go if you ant be with her in person. She also has a yahoo group with tons of info, challenges, swaps, pattern, BOMs etc. I dont think any pp pattern of hers is hard. All the same method just different size pieces. One think I really like about Carols oatterns is she tells you how big to cut pieces so you dont waste fabric or undercut. I must say though that I cut pieces a little bigger and if a piece says for example something and follows with some 8th (i.e. 2 7/8 or 5/8 etc) I cut up to the next whole number. Dont like dealing with eighths. Just my quirk. Echoing the love for Carol Doak. My avatar is one of hers, & I am nearly finished with a 24" X24" center (for the Round Robin going on now here on the board) using one of her patterns. They are the BOMB!!! 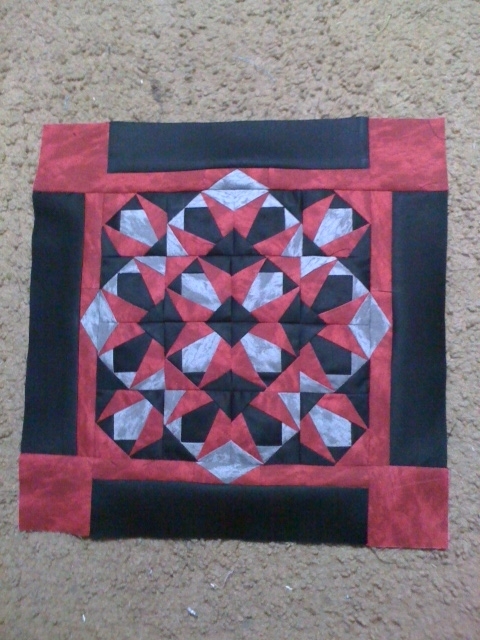 I have learned strip paper piecing from Peggy Martin and all shapes paper piecing from Carol Doak. Her video is wonderful as are her books because she includes a CD which allows you to print from your computer and choose the size you want to make your patterns, which is so great. Both ladies are very excellent teachers and each have a wonderful Craftsy class. Try it, the accuracy is so gratifying, and the results - well I've been so happy with each project! I think the hardest thing is the first 2 pieces place right sides facing then flip next makes sense. Always keep lines on the top, fabric below . It is very useful to fold on all the sewing lines either before you start or before each new piece goes on. This fold will also help to cutoff the seam allowance and then place next piece. You can either hand or machine . It is a handy project or carrying around. CaRol taught me to use postcards. One side is slick and one side is less slick. Using the latter one with non slick side down the card stays in pace with no slipping and that with the Add a Quarter is a winning combination. Thanks for all the tips this PP is something I have been wanting to try but I have been a little skittish of trying. I will follow the suggestions about Carol Doak and check out her website. Thanks everyone for your posts. I can always find encouragement on this QB and it is the BOMB. thank you! My bf just ordered one of her books for me :-) I can't wait to try it!! Go to YouTube and type in 'Carol Doak's Paper Piecing' and up will pop her DVD (you don't have to buy it) on how to paper piece. It is so easy! My mentor sent me her DVD and I now love to paper piece. A friend sent me Carol's paper piecing paper and I have the 'Add a Quarter' ruler and a postcard and I'm all set. Try it and I know you'll love it. Craftsy's free BOM 2012 by Amy Gibson has a month where she teaches you how to paper piece, but Carol's YouTube is much, much, much better.